The 115 years old iconic motorcycle brand offers a wide range of purpose built, meticulously detailed and well-crafted riding gear, apparel and accessories that allow riders to enjoy their motorcycling experience even more while touring across the country. Royal Enfield also has a wider range of urban protection and moto-inspired clothing designed to enhance the motorcycling experience within cities or on weekend rides. The clothing line inspired by Royal Enfield’s history and classic design philosophy, can also be worn both on and off the motorcycle. Royal Enfield is one of the most trusted and respected motorcycle brands in the country and represents an increasingly growing community of riders across India. We are extremely excited to be associated with the flag-bearer of the riding community in India that has set a very high benchmark in terms of the quality offered on their product range. This collaboration enables motorcycle enthusiasts and fans of Royal Enfield to be a part of this iconic global brand by having an easy access to authentic and genuine gear range, from the comfort of their homes. Customers can now purchase the entire range of gear and accessories via the Flipkart e-commerce portal. 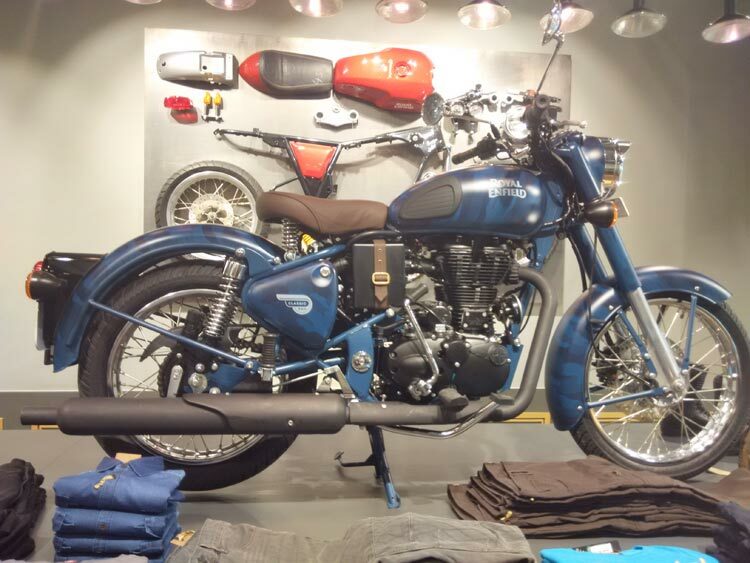 Customers purchasing the brand’s accessories can be assured of a timely delivery and hassle free shopping experience as the entire range of the Royal Enfield accessories will be available under the Flipkart Advantage benefit. Royal Enfield has pioneered the leisure motorcycling segment in India and has been at the forefront of its remarkable growth. With more and more people riding out, there is a growing need for appropriate gear and accessories amongst these riders. Our purpose-built riding gear brings together Royal Enfield’s years of riding experiences through a variety of terrains and weather conditions. We believe that in a market that is currently underserved with respect to quality riding gear, our products will augur very well for our existing and potential customers. Our apparel and gear range is a natural extension of our core business; we believe the brand Royal Enfield allows its consumers to express themselves and with this range of products, we are able to be part of our consumers’ lives beyond riding. Till now our gear range was available in India in most of our dealerships, Royal Enfield’s online store and also through exclusive gear stores in New Delhi, Mumbai, Bangalore, Chandigarh, Amritsar and Pune. The collaboration with Flipkart will allow us to make the gear range and the brand more accessible and approachable to a larger set of audience through Flipkart’s wide customer base across the country. 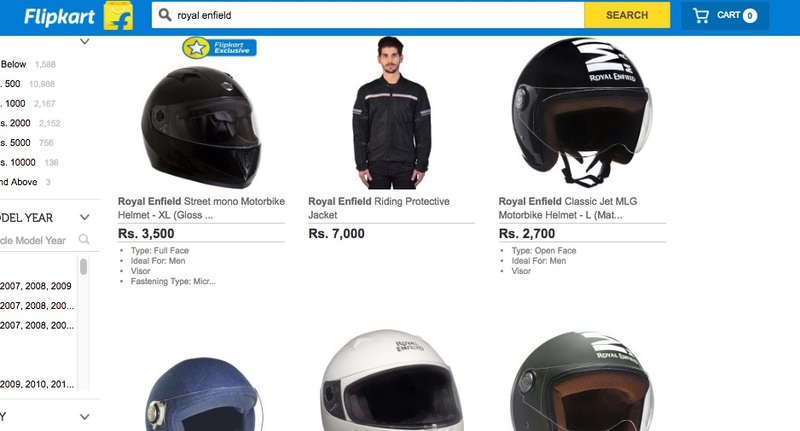 Happy that your favorite Royal Enfield accessories are now available on Flipkart? Let us know by dropping a comment!